Broughton Parish has several public rights of way, two of which both begin and end within the parish. One of the most popular walks is through the woods known as The Plantation which forms the boundary between the parishes of Malton and Broughton. Some of our PROWs offer panoramic views, both across to the North York Moors and over to the Wolds. Other views are just as pleasing to the eye. 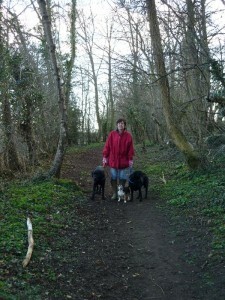 And the more popular routes prove to be social outings for dogs as well as their walkers! Two footpaths simply cross fields within Broughton Parish – one from the B1257 to Main Street over the old cricket field in front of Oak Farmhouse, the other over the field between Beech Crescent and Dobsons Yard. This links Beachcroft Lane with Main Street where it emerges close to Manor Park. This path would have linked the likely principle properties – Broughton House and Oak Farm with the Manor House, now called Manor Farm. There are three public footpaths from Broughton into Swinton parish. One runs from Main Street to the St Helen’s Church, Amotherby; a second links Broughton Lane with Swinton Lane; and the third runs west from the Musley Bank bridleway towards Hildenley. There is one public footpath from Broughton into Malton Parish – this is the one which links Broughton Lane with the Plantation. The footpath from The Gatehouse heading west past the BSA sports Centre in Swinton is actually in Swinton Parish – the parish boundary runs down the west side of Moor Lane. Two bridleways run from Broughton into Malton Parish. One links Braygrate Street (more commonly known as Castle Howard Road) via Musley Bank to the A64. The other crosses the B1257. On the south side it is known as Broughton Lane. This runs from the B1257 along the side of Flowery bank up to Castle Howard Road (Braygate Street). It is a Site of Importance for Nature Conservation (SINC), which means it is a wildlife site designated by the district council. On the north side it is called Broughton Green Lane. This runs parallel with the B1257 into what is commonly known as Broughton Wood although it is in Malton Parish. From here the bridleway goes either up the side of the wood and back out onto the B1257 or over the fields to Crabtree Lane where again it turns back uphill to the B1257. Where it turns it also becomes a footpath over to the old railway line. From here there are different ways of going back into Malton or taking routes to Ryton and Old Malton. North Yorkshire County Council’s Countryside Service maintains and updates the Definitive Map and Statement of Public Rights of Way. This is the legal record of the location and status of public rights of way in North Yorkshire. The Countryside Service is also responsible for maintaining the county’s extensive network of public rights of way and for managing areas of open access. New routes can be added to the Definitive Map – to find out how contact paths@northyorks.gov.uk. Tel: 08458 72 73 74. Countryside Service staff and rangers are assisted with many hands-on tasks by Countryside Volunteers who tackle among other things – pond clearance, hedge cutting, scrub removal, cutting and raking and woodland management, as well as helping install stiles, gates, bridges etc. They are also involved with surveying public rights of way, photographing landscapes, or helping with surveys such as one undertaken on bumblebees. 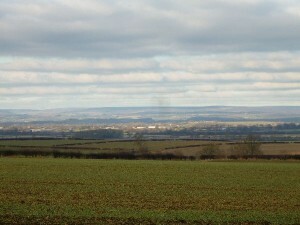 Some volunteers work for the Howardian Hills Area of Outstanding Natural Beauty. Training is always provided for any of the more “specialist” tasks the volunteers choose to tackle. Volunteers are regularly sent newsletters, a copy of which is available as a PDF, (300k) for anyone interested by clicking here. Sometimes the recruiting of volunteers has to be temporarily halted.